There are many different things that we like to do to make ourselves as beautiful as can be. We do what we can to keep our bodies looking youthful through good dieting and exercise. And of course, there is the help of Laser Hair Removal to keep our bodies silky smooth. Botox is great for doing away with wrinkles and fine lines. But there are ways to beautify ourselves that not everyone considers. Many people absolutely love the look of longer eyelashes. But as many models in magazines have shown us, the adding of fake eyelashes is becoming the norm. Now, not only are fake eyelashes not meant to be permanent fixtures, they are also not exactly the best way to obtain a natural look. And this can be just as important as the length of the eyelashes themselves. Have you heard of LATISSE for longer eyelashes? This incredible product just so happens to be the first of its kind. It is the only FDA approved medical treatment for the natural growth of longer eyelashes. The treatment works by allowing your eyelashes to grow for longer periods of time before they fall out. Most often, noticeable eyelash growth takes place after eight weeks. They tend to reach their maximum length at about 12 to 16 weeks. LATISSE is a once-a-day application treatment. You apply the solution using a brush to the base of your upper eyelashes. It helps for your eyelashes to grow thanks to its active ingredient known as “bimatoprost”. It has shown to affect the growth of eyelash hair in two ways. Firstly, it increases the length of the eyelash growth phase, which is also known as the “anagen” phase. Secondly, it increases the number of hairs that grow during this phase. Needless to say, LATISSE is quite a unique product. It works, by the way, not just for those who choose to beautify themselves. Some of us have concerns about hair growth. After all, it is easier to come by for some than others. This is yet another benefit to LATISSE. It can be quite beneficial to those who experience hypotrichosis. This YouTube promotional video provides more information on LATISSE that you may find very interesting. Now available in Kelowna, DermMedica is one of the few medical clinics that carry this medication. 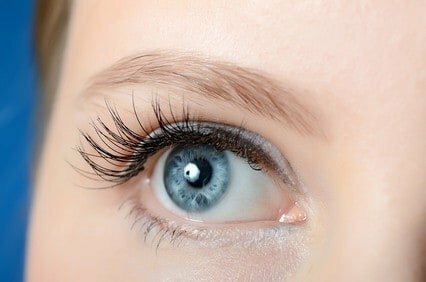 For more information about Latisse and longer eyelashes, please feel free to call toll free at 1-866-861-3070, or if you are in Kelowna, call 250-868-3070.